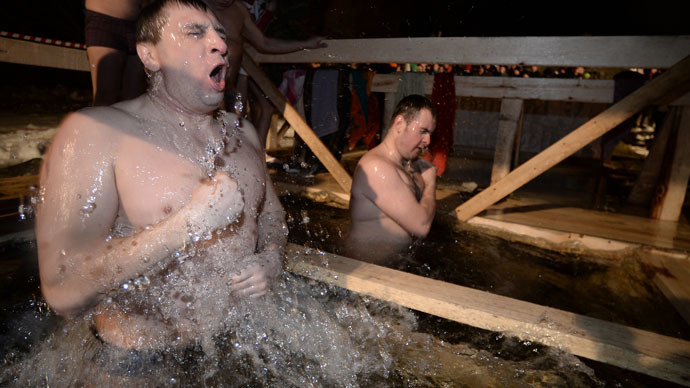 Hundreds of thousands of people across Russia plunged into freezing waters to mark the Orthodox Epiphany on Sunday. 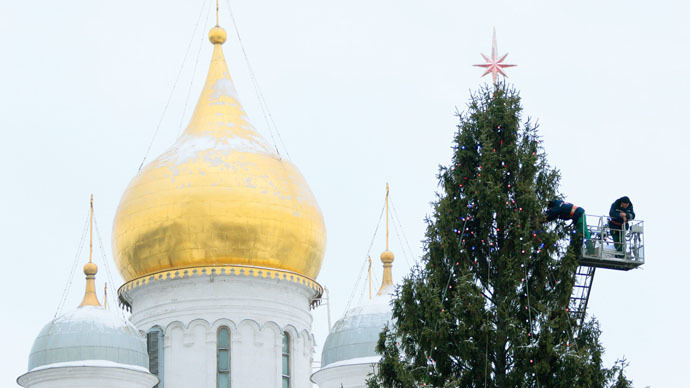 Moscow, in particular, made special arrangements to allow the faithful to cleanse their souls – despite the frigid temperatures. Around 160,000 Muscovites are estimated to have taken part in the annual holy tradition. 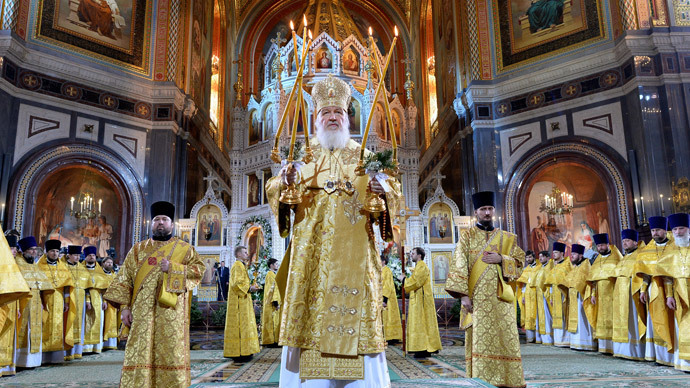 As the number of participants increases each year, Russia's capital city aims to offer the best possible conditions for Orthodox Christians. In the tradition of the Orthodox Church, January 19 is the date of Epiphany, marking the day when Jesus Christ was baptized into the Christian faith in the River Jordan. In Russia, people mark the occasion by plunging into a river or pond. In many places, holes in the ice need to be cut. Specially designed ice-dipping areas were set up in each administration region of Moscow, totaling 60 across the capital. Seventeen of them were installed within the “New Moscow” area, which was mapped after the 2012 expansion of the city's boundaries. 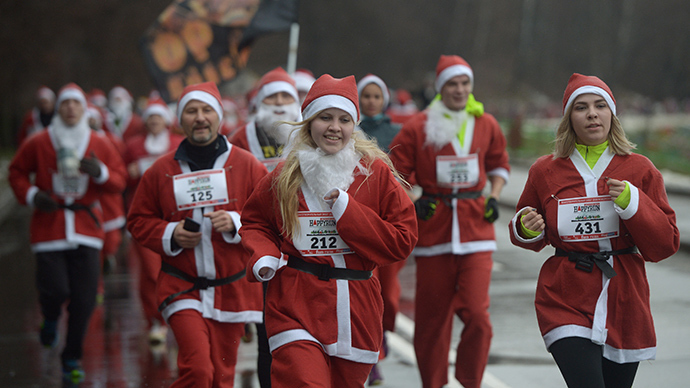 Medics, however, warn that those suffering from cardiovascular diseases should avoid the cold plunge. Children are also discouraged from taking part. Doctors were present at all designated locations to provide any needed assistance, along with police officers. Volunteers were also present and available to help out. An ideal ice pool is considered to be one with shallow waters – not more than 1.8 meters – which has rails for people to cling to as they lower themselves into the freezing abyss. Such places should also be very well lit, and provide changing rooms for those taking part in the ancient tradition. Moscow authorities offer hot tea for participants. Outside Moscow, more than 3,000 ice pools were created by authorities, which were manned by more than 16,500 Emergency Ministry rescuers. Last year, more than 1.3 million people across Russia took part in the icy plunge. Leading up to Epiphany, the Orthodox Church holds a series of services that end with a blessing of the water. Water blessed on this day is considered by millions to have holy powers of healing. Millions take the blessed water home with them. Epiphany concludes the traditional Christmas holidays in Russia. This religious celebration happens on the last day of “Svyatki,” a fortune-telling period that begins right after Christmas.